The Nigerian tech ecosystem is a leader in digital Africa and several facts already prove this. Another interesting data has shown that the country has produced the most number of cohorts for the prestigious YCombinator program from Africa. According to recent research by Digest Africa, 13 of the 28 African startups in the YCombinator program over the last 10 years have been Nigerian. This means Nigerian startups account for 46.3% of African startups in the program since 2009. Ghana, the African country with the second most cohorts accounts for around 17.9%. The report also shows that the earliest Nigerian startup in the program was PetaSales. Founded in 2008, PetaSales joined the YCombinator program in 2009. However, the startup shutdown some years back. No other Nigerian startup made it to YCombinator until 2015 when PayStack joined the cohorts. 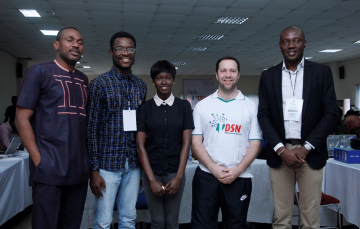 Consequently, Nigerian startups have frequently made the list of cohorts. Interestingly, seven of the 10 African startups that joined the accelerator program in 2017 were Nigerian. They include Aella Credit, BuyPower, Helium Health (formerly One Medical), RelianceHMO (formerly Kangpe), Kudi, Releaf and Tizeti. The report also shows that collectively, the 28 previous cohorts of the YCombinator program have raised over $58 million since joining the program. Interestingly, two Nigerian former cohorts (Flutterwave and PayStack) are among the top five startups that raised the most money in 2018. These impressive gains are not just down to the quality of these startups, they also flow down to the fact that the YCombinator program brings a lot of benefits. One benefit of membership in the program is the automatic $120,000 equity funding cohorts receive. In return for funding, cohorts give out around 7% equity. Another notable benefit is the actual support and mentoring that comes at the YCombinator 12 weeks accelerator program. Held at the innovative environment of Silicon Valley, the program invites only the leading experts to support and help startups get their solutions market ready. Of course, not all startups from the program eventually become successfully, but many go on to develop more sustainable businesses nonetheless. And beyond this, startups also benefit from a lot of media exposure and investor access. The latter helps cohorts draw the attention of Silicon Valley bigwigs like Sequoia Capital, Kleiner Perkins, Greylock Partners and GV.